If a simple 3D photo rendering is not enough, CADMaster offers professional video rendering services. Whether it’s for a YouTube channel or a presentation, we will offer impressive high resolution videos to make your project a success. Video rendering enables 3D models to be represented as video outputs. Our jewelry CAD designers will help you to choose interesting backgrounds and interactive animations for 3D video rendering to capture your customer’s attention on the web or wherever you will display them. Due to highly mastered video rendering tricks our jewelry CAD designers will produce high resolution videos and interactive animations. 3D video rendering is a major part of jewelry model creation as it gives a complete appearance to the 3D jewelry model. Jewelry video renderings are effectively used in jewelry design visualization. Video rendering includes the composition of different elements, audio files into final enhanced video file with special effects which will give an insight about your jewelry model. 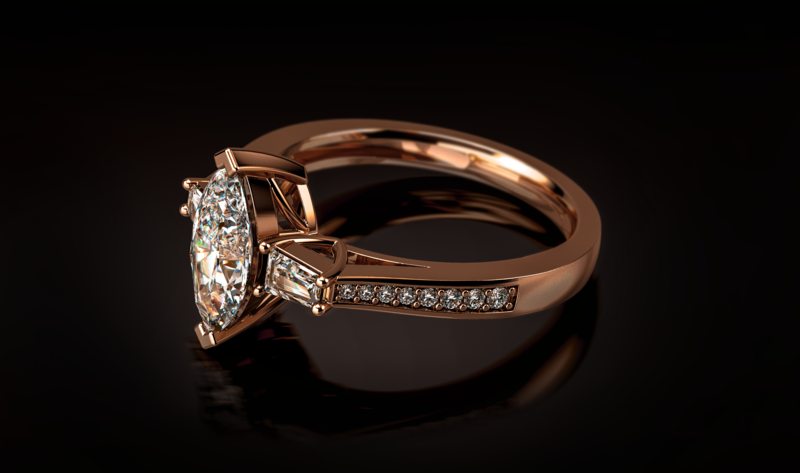 3D video rendering will give a visual understanding of jewelry model dimensions, shades, textures and overall look. The duration of video rendering depends on the length and complexity of mixed elements. Our jewelry CAD designers are combining the initial elements, making some needed cuts and improvements with special effects. The quality of video rendering depends mostly on the convenience of software used. Our CAD designers are using Keyshot, Zbrush, 3D Max and V-Ray according to the video rendering complexity. Keyshot is featuring fast, simple and accurate 3D renderings providing maximum speed and possibility to view it real-time. Zbrush is mostly used for original models modifying and preparing them for 3D printing. We can get hyper-realistic jewelry models by combining Keyshot and Zbrush features. Famous jewelry designers are using 3D Max rendering software for producing compelling design effects, lighting and objects. The advanced techniques of V-Ray will provide more realistic photo and video jewelry renderings.